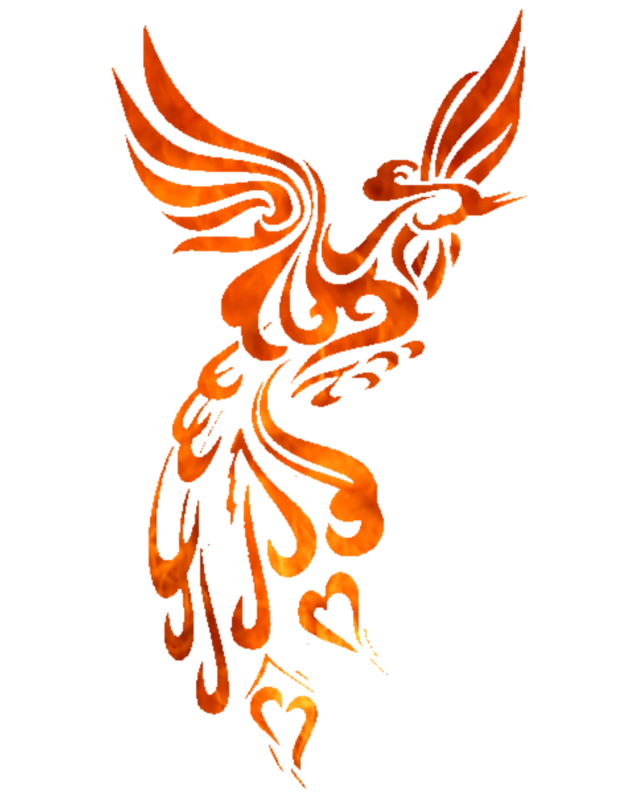 I’m here to tell you there are no dragons… but if you’re lucky you may find a phoenix! 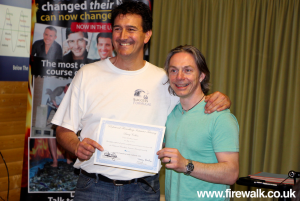 I recently undertook training with the UK’s leading Master Firewalk Trainer, Steve Consalvez, a man trained by Tolly Burkan, the father of the global firewalking movement that began in the 70’s. I thought I knew where my comfort zone was, and understood that the training would take me beyond it, but I was naive enough to think I knew what lay beyond… I was wrong! My adventure began with meeting my 13 fellow trainees, with whom almost every waking moment would be spent for the next 4 long, and sometimes surreal, days. Every moment of our time together was calculated to help us grow stronger as individuals, and as a ‘tribe’. Together we brought out the best in one another, and helped each other when our thinking created moments of doubt and uncertainty. Each day we moved further and further outside our respective comfort zones, undertaking tasks, both individually, in small groups, or as a tribe, every now and then glancing back at the receding horizon of our beliefs, before turning once more and setting our sights clearly on whatever lay ahead, even that which we could not yet see! I won’t lie to you, there were moments when internally I shrieked, “you want me to do WHAT?”, before putting aside, sometimes with great effort, all the certainties I was using to create a state of fear within my self, and discovering that there were no dragons other than those I was creating in my own mind. Each day concluded with the building and lighting of the fire, this was what I was here for after all. Each time we did this as a tribe, I realised that most 10 year old boys know how to build a fire (even if they shouldn’t), this was about so much more. This was about learning about the doubts and fears that many harbour that make life more difficult than it has to be. This is about learning to let life be easy. Each night I found it easier to let my mind clear, and to pay attention 100% to what it was I doing, and not get distracted by all the ‘what ifs’. 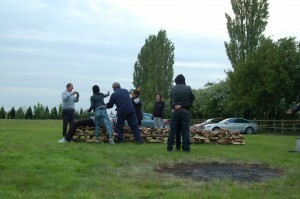 Like so many of the exercises, the tending of the fire became like a mediation, incredibly calming and soothing. 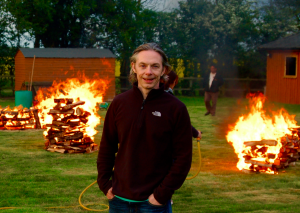 By the last night as the final preparations were made to the fire by Steve and his incredible team, Mark, Lottie, James, Jon & Eric, we stood silent, observing the preparations, deep in contemplation of what we were about to undertake together, as a tribe. A sense of tranquility settled over us as we accepted that all the doubts, fears and uncertainties had all been stripped away over that last four days, leaving the space to create something new, something powerful, that would propel us forward in to a life filled with wonder and joy. 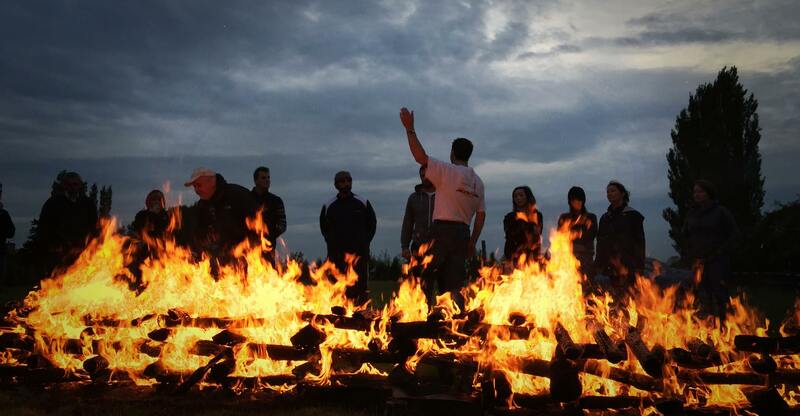 As a tribe that night, we completed over 1500 firewalks, covering more than 3 miles on red hot coals in total… in less than an hour! I understand how easy it is to stay within the safe confines of the familiar, but take my word on this, there are no dragons. Go see for yourself, you just might come back as a phoenix! 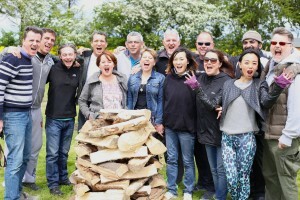 If you are interested in attending Propulsion (firewalking empowerment intensive) then click HERE.